Alma has more than 15 years of experience as an educator, promoter and writer in the creativity and artistic sectors. She is the founder and coordinator of Pintoras Mexicanas – a collective of female artists that focuses on promoting art through worldwide exhibitions. 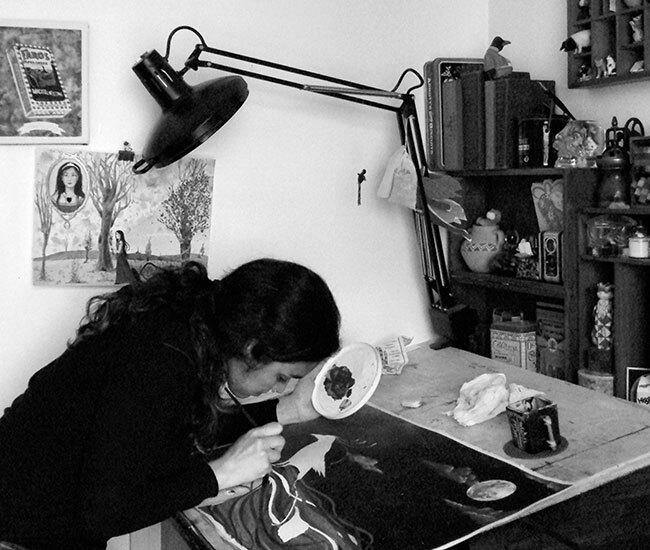 Alma worked on sharpening her artistic technique, hosted painting workshops at La Universidad Autónoma de Chihuahua, and taught for several years at Iberoamericana private College. Alma studies in El Instituto de Bellas Artes de La Universidad Autónoma de Chihuahua, México, a BSc in Psychology and a MSSc from La Universidad de Ciudad Juárez, Chihuahua, México.